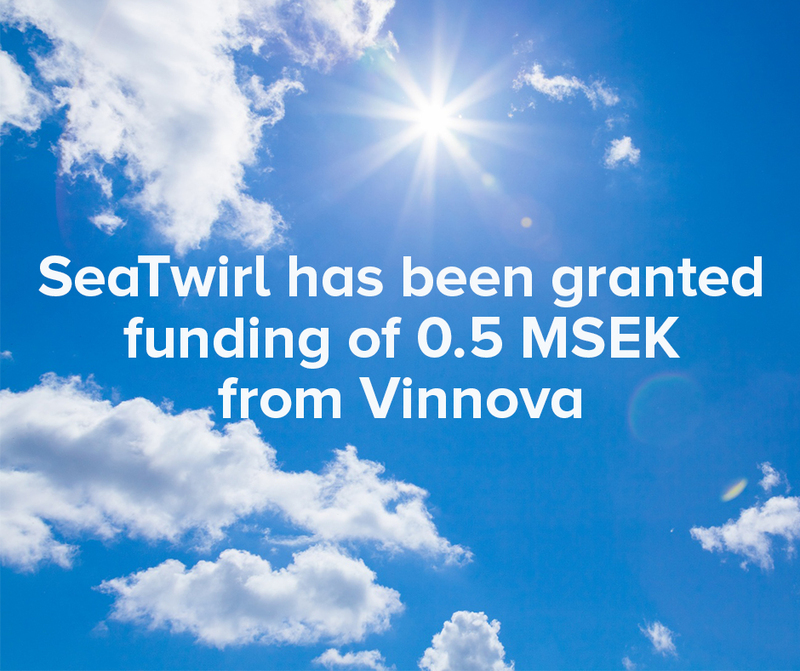 SeaTwirl’s application gets a Seal of Excellence from an EU programme to support innovation and is granted funding of 500 000 SEK from Vinnova’s Runners-Up programme. Vinnova’s programme is a complement to the EU programme EIC SME instrument, which is programme that the EU have instituted as a part Horizon 2020 to specifically support innovation in small and medium sized enterprises. The EU programme has three phases where the first two provides funding for project development and the third functions as business accelerator. SeaTwirl applied to the first phase, which provides funding of 50 000 euro, and submitted an application which was given a Seal of Excellence. Unfortunately, there were not any money left in the programme. But to further support innovation in SME companies, Vinnova has instituted a Runners-Up programme that grants funding for applications which have been given a Seal of Excellence and it is from that programme that SeaTwirl has now been granted funding. “It is very pleasing that our application was well received and that we have been granted funding from Vinnova. We now feel very well positioned ahead of phase 2 of the programme where the funding ranges from 0.5-2.5 million euro”, says Gabriel Strängberg, CEO of SeaTwirl.